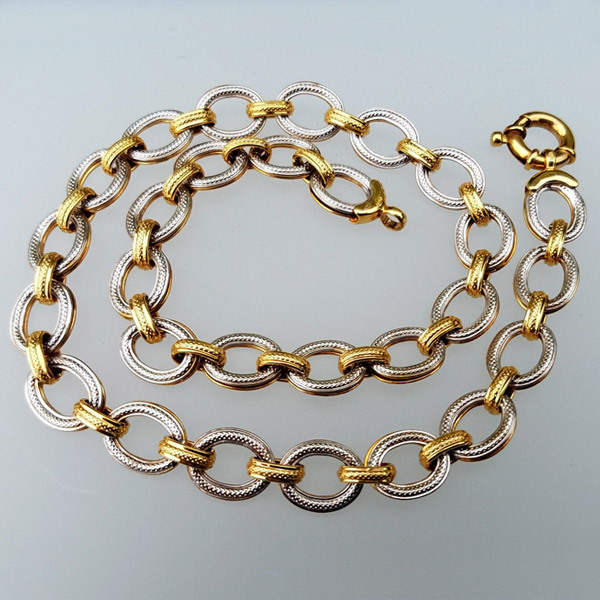 Beautiful vintage 14k two tone link style necklace. 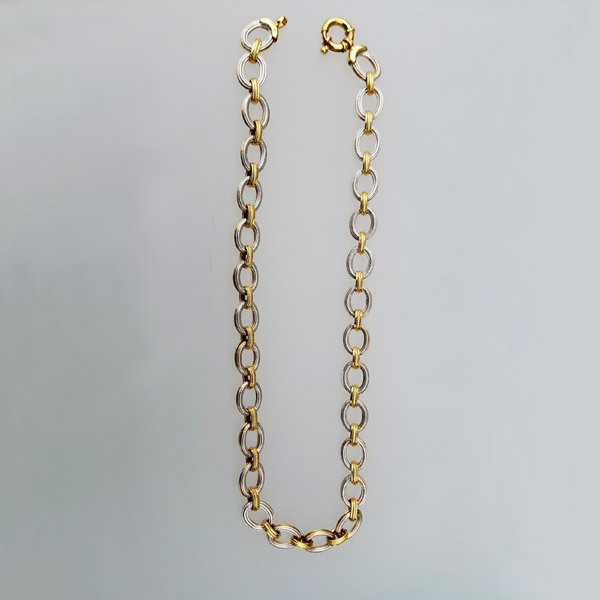 This necklace is reversible, one side of the necklace features all yellow gold links, while links on the other side of the necklace alternate between white and yellow gold. 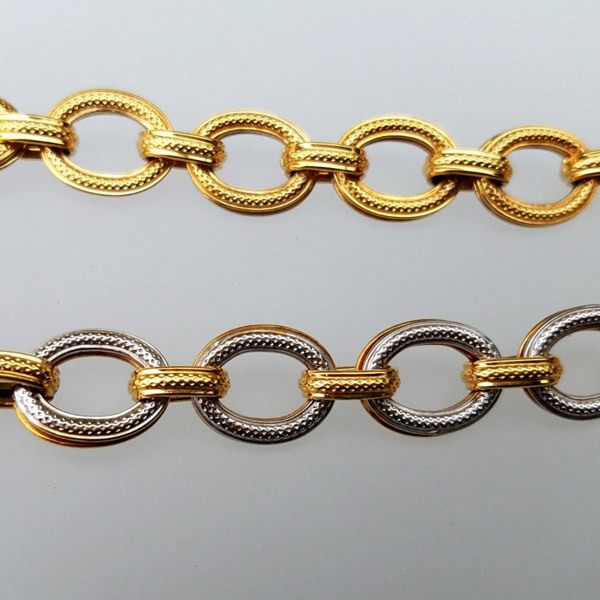 Hallmarked 14k; Italy. 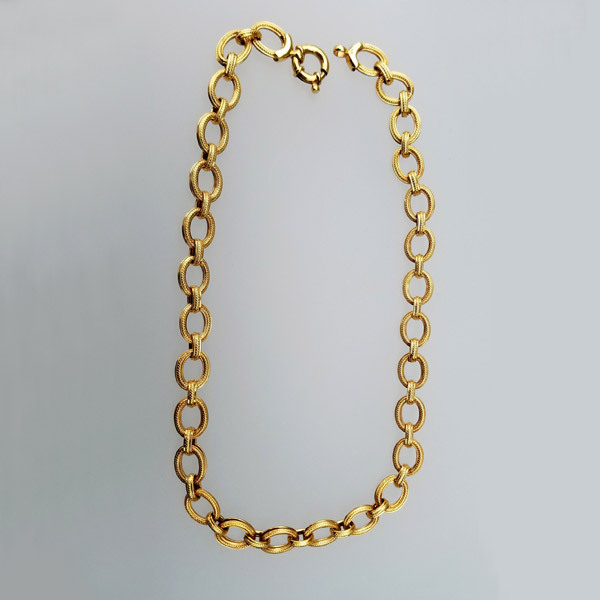 Each large link is approx. 13.5mmx11mm.